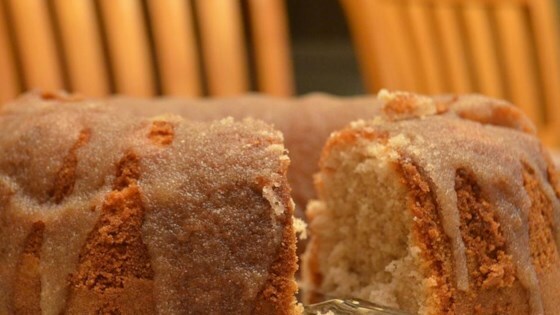 "This cake is the best cinnamon cake I have ever made. Every time I serve it, the compliments never end. Serve it warm, about 45 minutes out of the oven, for an even greater pleasure." Warning: when cold serves 16. WHen HOT serves 2! WOW is it good hot. My daughter-in-law made this cake and it's one of the best I've ever tasted. Now I'm going to make it!